It is not about the fancy networking receptions, or symposiums, or conferences. Adhyaya is a festival of dance, celebrating dance, applauding dance, and appreciating dance – without any frills attached to it. Adhyaya’s aim has always been, and always will be, to present exceptional talent to this city and nurturing them, giving back to the artist community and to the art form. For this reason, Adhyaya has always been put up with the help and support of our partners, our patrons and our supporters. Our partners work tirelessly with us to ensure the best of hospitality and technicals for the artists. And our supporters keep their donations coming so that we are able to bring to you world-class work. Last year, your support made up to 60% of the cost of the festival – which helped us pay for the venue, the technical requirements, and helped us to take care of the artists during Adhyaya. 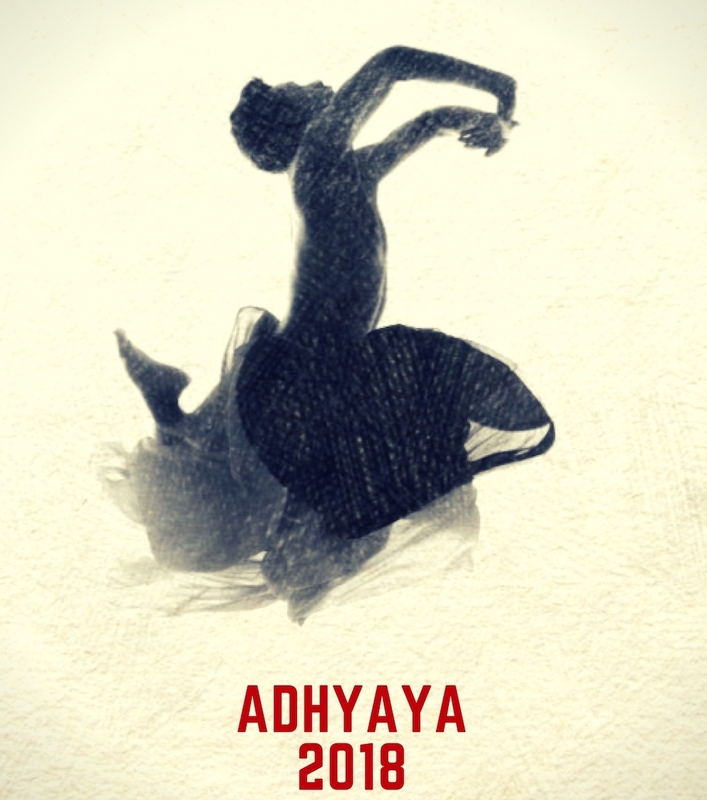 This year, we make a move towards making Adhyaya a platform where the old meets the new, where new work is inspired by traditions and cultures, and is co-created with another art form; thus preserving and promoting the rich heritage of the world. This platform will further help artists attract new audience, inculcate arts appreciation and cultural promotion. This year, as we opened our doors to applications from artists around the world for Adhyaya, we are thrilled that we have received more than 60 applications already, and they are continuing to come in! We are counting on your support, especially this year, to help us in our ambitious undertaking of presenting dance – not just as an art form, but as a language and connecting thread which connects innovation to tradition, and has the ability to bring different art forms together. And ensuring that the artists get the best hospitality while here, ensuring that their performance venue is the best suited for them, and taking care of even minute details like their transport within the city, to their meals and flights – will require more than just us. It will require you and your support for this! Help us raise INR 5,00,000 – which will help us with the logistics of the festival, hospitality for the artists, transportation, and technical support. In supporting us, you not only help us to present Adhyaya, but also help different art forms come alive, help make connections between cultures, and become custodians of culture themselves. Please do take a look below at what you get in return for your support. Some of our patrons have already attended hours of masterclasses and attended our magnum-opus shows at NCPA in Mumbai, Jawaharlal Nehru Stadium in Delhi, and Dubai Community Theatre and Arts Centre in Dubai. Please support us – every bit counts. Social media shout out + 4 passes for the show + Credits in the dance film of the artist that will be shot as part of Adhyaya. Social media shout out + 8 passes for the show + Credits in the dance film of the artist that will be shot as part of Adhyaya + Thank you note signed by Mayuri + High tea with Mayuri + Producer Title + 2 passes for Mughal-e-Azam show. Pay what you want to make Adhyaya 2018 a reality!